Jhalak Dikhla Jaa 6 is all geared up for its latest season on Colors channel. The promos have already been doing the rounds and definitely makes one feel that the 6th season of the celebrity dance show will be a dhamakedaar one. Well as the telecast dates come closer here are a few more names that will be seen in the show. contestants include actors Drashti Dhami and Siddharth Shukla. Buzz was that both Drashti and Sanaya Irani (who plays the lead in Sony’s Chhanchhan) were vying to make it to the Colors reality show. 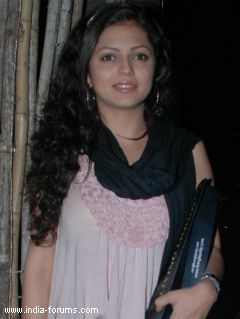 But the odds were in favour of Drashti, who plays the lead in one of its popular shows, Madhubala. “This is both Drashti and Siddharth’s first attempt at a reality show. Drashti’s brother, Jaisheel Dhami had participated in another dance reality competition, Nach Baliye, recently. So she’s looking forward to taking some tips from him,” says a source. Remo D’Souza, Karan Johar and Madhuri Dixit will be back as judges in the upcoming edition of the reality show too. Although the channel hasn’t confirmed the entire list of participants, there are speculations that names like Karan Kundra, Salman Yussuff Khan and Lauren are being considered. Telebuzz is back to give all you fans some latest updates of the biggest shows and celebrities. 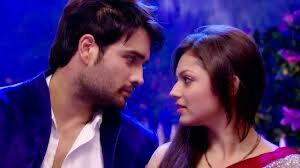 Lets tell you'll what's going to happen in Madhubala Ek Ishq Ek Junoon. Madhubala will take a magical avatar in her behavior for RK. Madhu will start loving RK all over again. Yes you heard that right. Vivian D’Sena: Dashing star of the year as Vivian Dsena, whose fan-following among girls is increasing day by day.He features in the television series “Pyaar Ki Ye Ek Kahaani.” A complete rising star, he had also modeled for renowned brands such as Levi’s, Pepe Jeans, Jet Airways and many others. Currently he is seen in “Madhubala” in Colors channel as ‘RK – The Superstar’, and is quite popular in that character. Madhu to prove her love for RK! In producer Saurabh Tiwari's Nautanki Films popular daily soap Madhubala:Ek Ishq Ek Junoon, we will see an interesting track story coming up where Madhu (Drashti Dhami) tries her best in proving her love for RK (Vivian Dsena). In the last few episodes of the show we have seen the romantic sequences are being shown. Hence following the same we will see high voltage drama in tonight's episode in the show. In the upcoming episode of the show we will see that Madhu while trying her level best to prove her love for RK will be shown walking the building parapet wall. Looking at the scenario RK is shocked and is worried that she might fall off the wall and hurt herself. After taking few steps on the parapet wall Madhu falls off and RK tries to save her. Further more we will see that Dipali threatens Madhu that she will tell RK that Madhu is going to deceive him. Will she really tell this to RK? What will Madhu do now? To know what happens ahead don't miss to watch Madhubala: Ek Ishq Ek Junoon. Andreea_Miha a scris: Madhu to prove her love for RK! Stând cu RK Madhu înnebunește și ea. narcisa a scris: Stând cu RK Madhu înnebunește și ea. Drashti Dhami on a holiday? The gorgeous and talented Drashti Dhami who is seen playing the role of Madhu in producer Saurabh Tiwari's Nautanki Films popular daily soap Madhubala:Ek Ishq Ek Junoon on Colors and soon will be seen in Colors' dance reality show Jhalak Dikhla Jaa as a contestant, seems to have gone on a summer holiday. After the lead actor Vivian Dsena who went to Australia for his honeymoon with his wife Vahbizz for which he had taken few days off from work, it is Drashti Dhami who has taken off from work. Our sources from the sets of the show confirmed the news saying that Drashti Dhami has taken nearly 6 days of leave. She will not be seen on shoot from today onwards but the shoot is going on with the other characters, as she has already shot for her scenes in advance so that work doesn't suffer. Well, we all know that she is a hardworking actress and that she always proved her acting skills and now we come to know that she is dedicated to her work too even if she has to go on a holiday. We tried contacting Drashti Dhami to know about her holiday plans but she remained unavailable to comment. Apart all, we wish her happy Holidays. Who can be a better husband in Colors’ Madhubala Ek Ishq Ek Junoon, Sultan or RK? Colors’ Madhubala Ek Ishq Ek Junoon has so far made the viewers aware with both Rishab Kundra aka RK (Vivian Dsena) and Sultan’s (Avinesh Rekhi) good and bad sides. While fans are apparently biased towards RK as he is the lead of the show and shares amazing chemistry with Madhu (Drashti Dhami), parallel lead Sultan too is impressing the masses and turning a good option for Madhu. While both Sultan and RK have extreme love for Madhu, who as per you makes for a better husband? Who among RK and Sultan can prove to be a better husband? Madhubala:EIEJ "Muskaanein jhooti hai...Pehchanein jhooti hai"
We conducted an poll in which Sultan was chosen as the perfect match for Madhubala.